Photo 2. 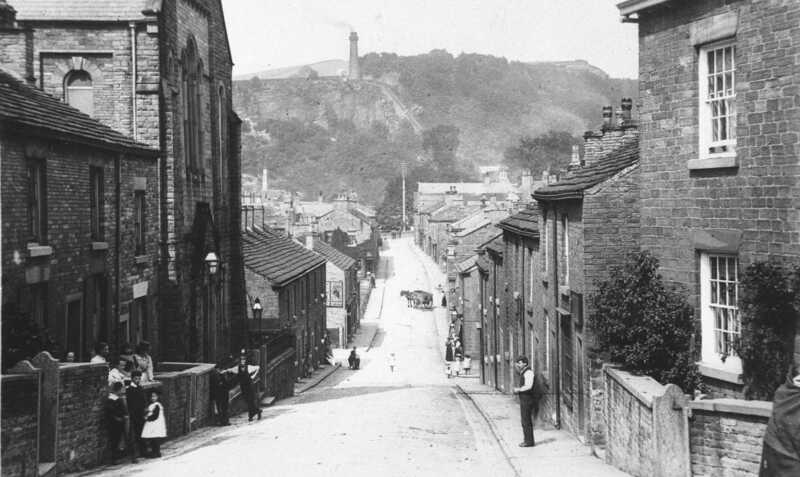 Bollington High Street. 1890. The Primitive Methodist Church is in the left-hand foreground. Photo 1. 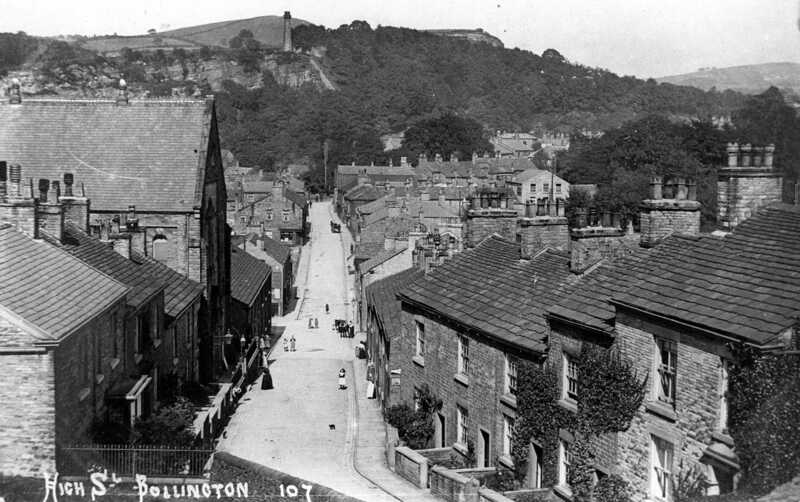 Bollington High Street, 1920. The Primitive Methodist Church is on the left-hand side. Photo 3. 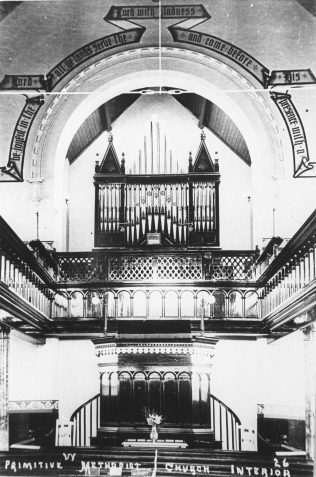 Interior of the Primitive Methodist Church. Photo 4. 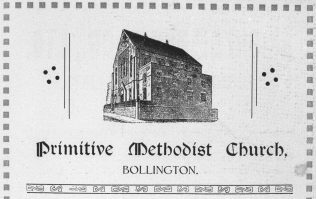 Bollington Primitive Methodist Church bazaar souvenir 20-23 October 1926. 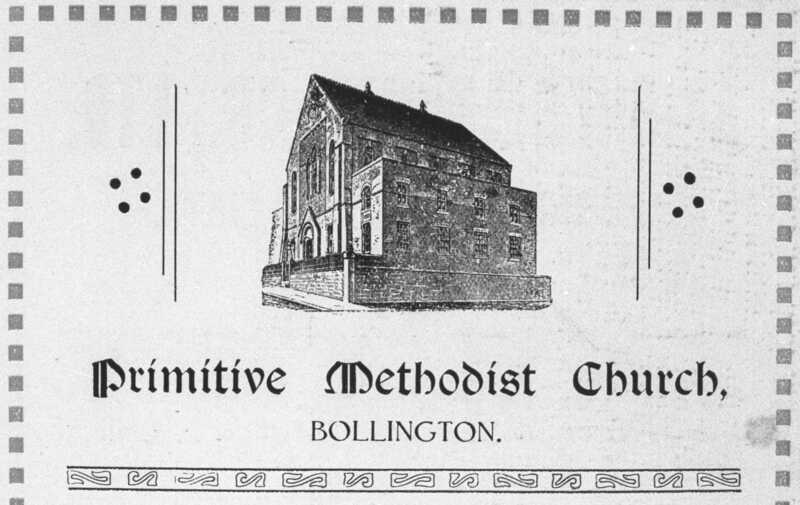 Bollington is in the Parish of Prestbury not far from Macclesfield.The chapel in High Street probably closed in 1950. 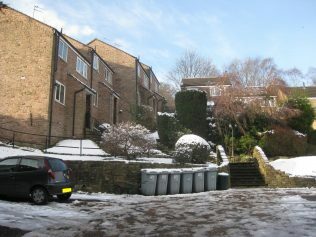 In 1980 it was demolished and High Court, a development of new houses, stands in its place. 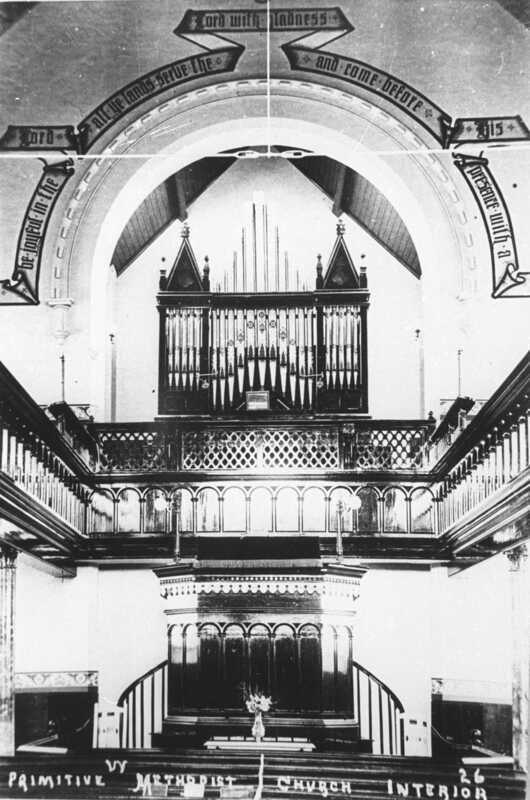 There is an extended article about the opening of the chapel in 1859 Primitive Methodist magazine . The article is so long, with so much architectural and fundraising detail, that it caused problems for the magazine editor. The new chapel was built because the side wall of the previous chapel gave way, and the Sunday school was growing, so they decided to build anew, rather than repair. The new chapel was on two storeys with the school room on the ground floor. It was very large and expensive, measuring 54′ x 36′ and costing £1370 It boasted pitch pine furniture and fittings, and hot water heating. W Williamson of Bollington was the architect, Hamson and Orme the builders. 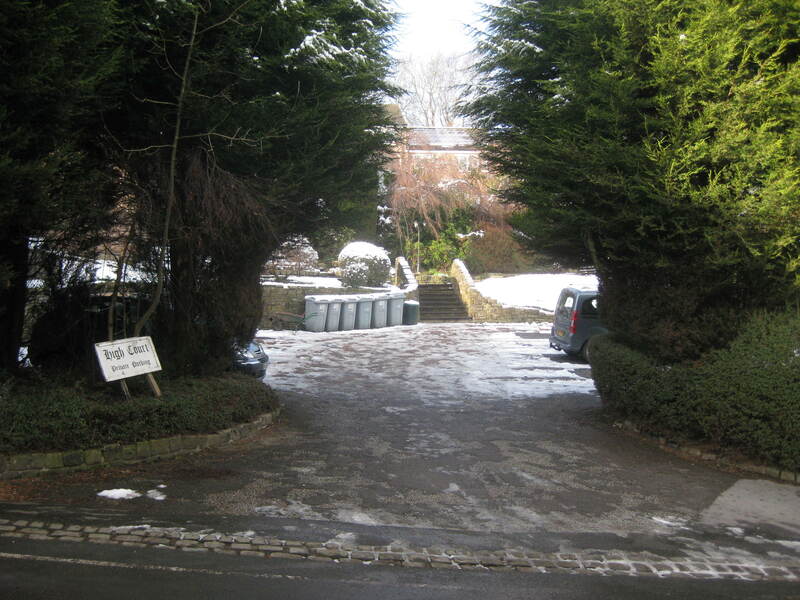 The society raised almost half of the money (£650) from systematic visits to every house in the district. The land was given by Mr Brooke; Mr Swindells (of the local mill-owning family) started the donations. The foundation stone was laid by T Olliver on August 28th 1858 and opening services started on April 22nd, 1859. Speakers included E Jones (Wesleyan), W Antliff (Oldham), W Harland (London). 1:2,500 Ordnance Survey maps of 1873, 1898 and 1909 show the chapel with unchanged footprint located on High Street (originally Red Lion Lane) at the High Court location. I’ve added detail about the opening of the chapel from the 1859 Primitive Methodist magazine, but I’m not clear about the 1901 opening date quoted above. Photos 1 and 2 show the chapel in the same location looking much the same in 1890 and 1920 and Ordnance Survey maps show the footprint hardly alters, so what happened in 1901? Was the chapel renovated and modernised? Can anyone help?